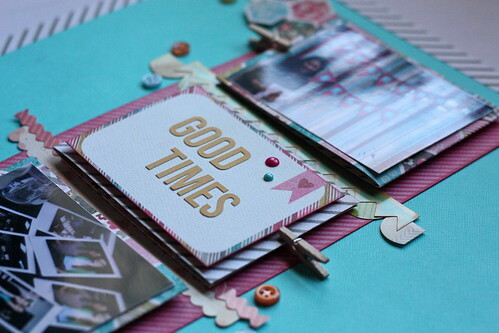 Confessions of a Twenty Something Artist: Hey Monday! 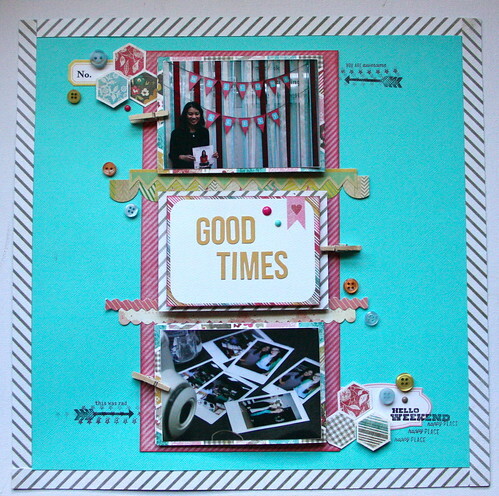 I'm stopping by quickly today to share March's KTOL (Keeping Track of Life) class layout and page protector. 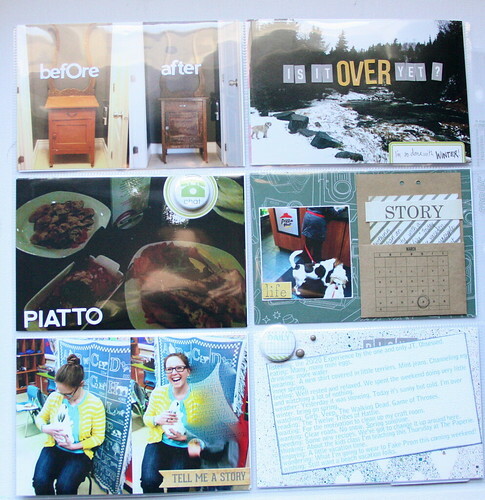 This layout has 3 folded pieces that open to reveal more photos. 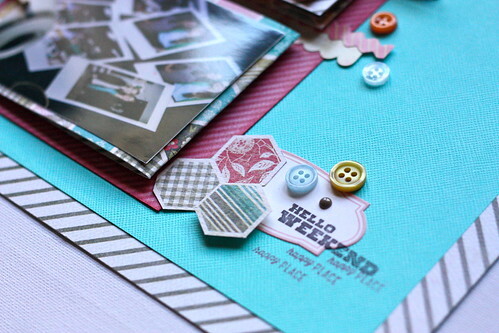 I loved the hexagon pattern paper so I cut some of them out to use as embellishments in the layout. 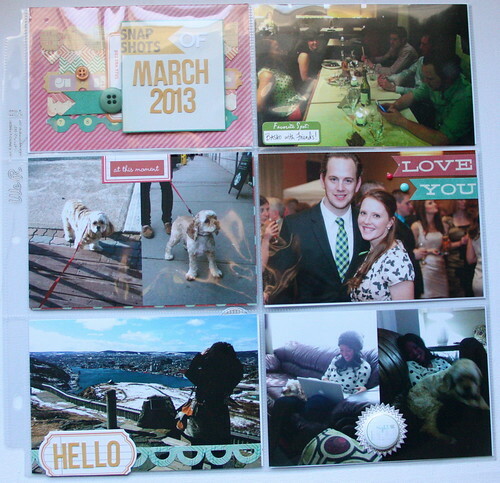 And this is the page protector with a combination of our activities in March. Highlights included: Dinner with friends, some DIY projects, real Easter bunnies, a big party & of course Kelly's big visit to NL! For more information about KTOL you can visit this post. 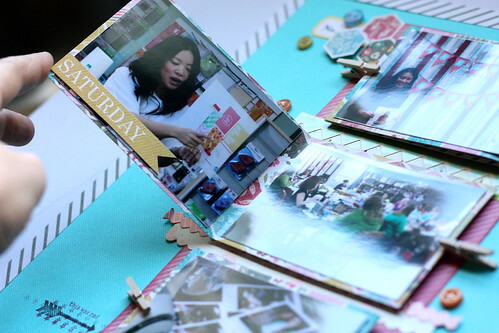 Wow, what a great way to get lots of pics on a layout.